A magnificent hall occupies the entire first floor of the Order Building. The building was constructed from 1709 in order to expand the possibilities of the small hunting palace. The Order Hall and Order Chapel gave the duke additional staterooms in which to enjoy celebrations with his hunting order. King Friedrich I’s throne in the Order Hall. After King Friedrich I of Württemberg ordered the erection of the majestic throne ensemble in 1807, the Order Hall was not seen again in its original design. The king ordered the outdated Baroque stucco on the walls to be replaced with neoclassical pilasters. 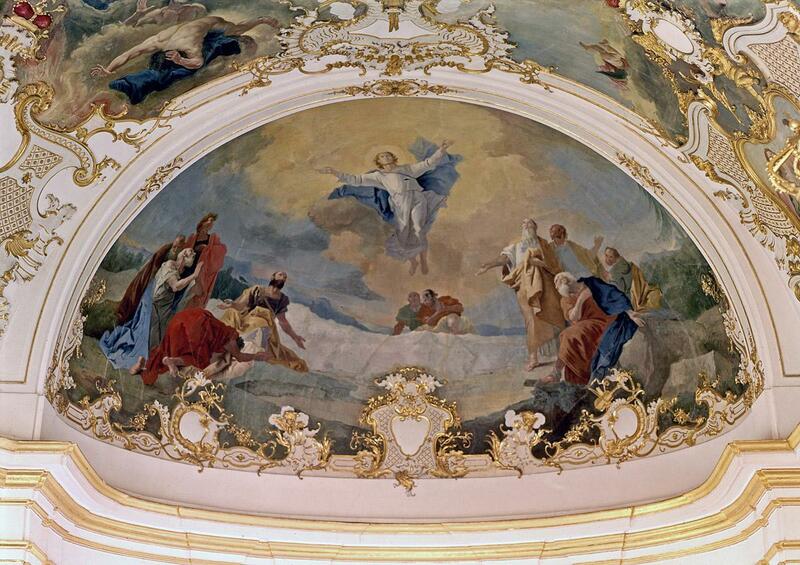 However the ceiling fresco by Pietro Scotti was simply painted over. 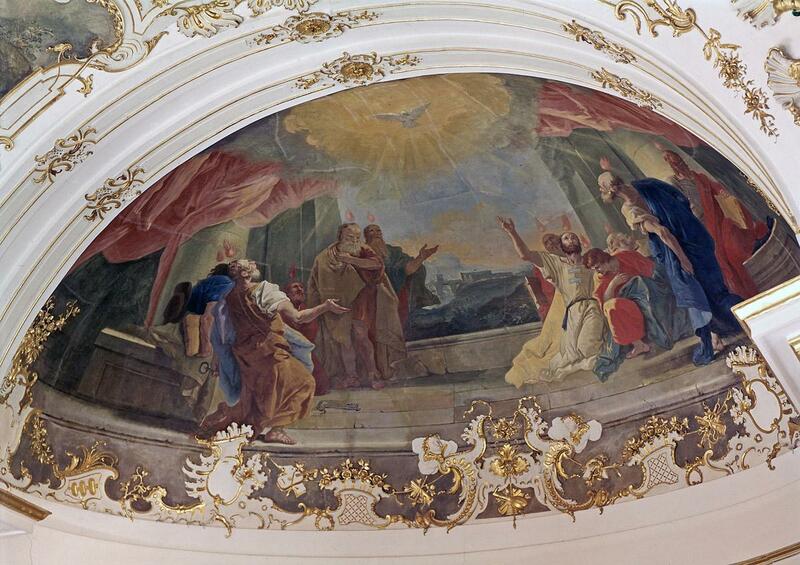 It was uncovered again in 1939 to reveal its architectural perspective paintings and the outlook into the realm of gods. The king used the hall. The Order Hall was the largest in the palace before it was finally expanded with the New Main Building. Duke Eberhard Ludwig used it for celebrations by the new Württemberg hunting order, which he founded. As of 1806, King Friedrich I held gatherings for his Order of the Golden Eagle there. Later, the hall became the setting for major political events. In 1819, the constitution of the Württemberg Kingdom was proclaimed here, and in 1919 the first democratic constitution. A chapel for the aristocracy. The architectonic framework which King Friedrich I gave over to gatherings for the Order of the Golden Eagle is impressive. Court master builder Thouret had to remodel the former protestant court chapel to create it. Emperor Napoleon and the kings of Prussia and Bavaria all belonged to this illustrious order, along with other members of aristocracy. The circular rows of seats on which Knights of the Order took their places beneath their gilded coat of arms remain unchanged today. Scenes from the New Testament. 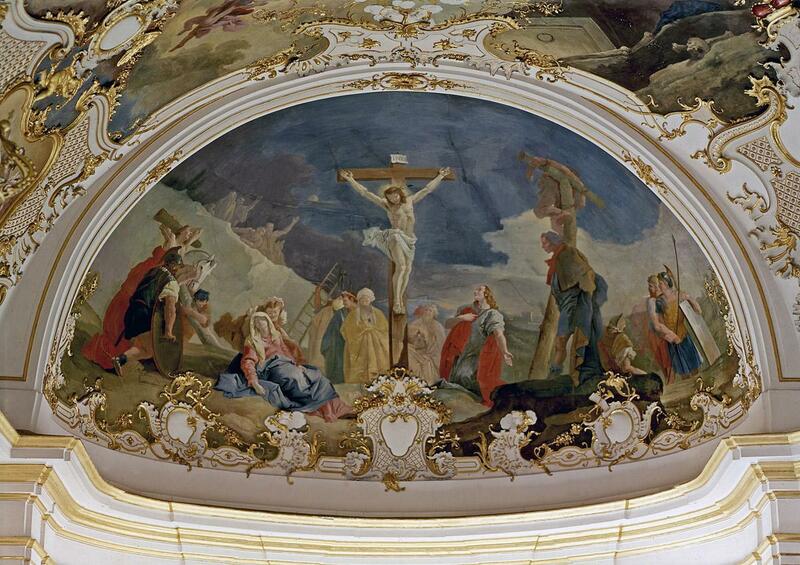 Painted, carved, and sculpted from stone: the symbols of the Württemberg Hunting Order of the Star and the Golden Eagle are seen at several points in Ludwigsburg Palace. You will constantly come across it on your tour.